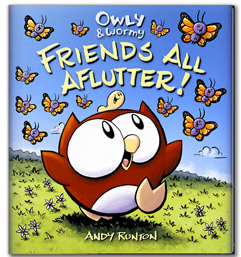 Yesterday we embarked on a study of graphic novels in our classroom by reading Owly and Wormy Friends All Aflutter by Andy Runton. This picture book is a nice entry into the world of graphic novels for our young students–even though it may not technically fit into the definition of graphic novel. 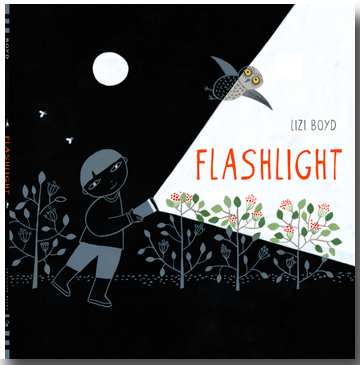 Our students aren’t new to reading wordless books, last year we delighted in the wordless books of Flashilight and Inside Outside by Lizi Boyd (you can read about these adventures in a post by my teaching partner here). So there were no surprises yesterday when we began to read about Owly and Wormy. Our older students were eager to “read” as we turned pages under the document camera, and it wasn’t long before our young students began to join in, volunteering their own readings. Wordless books, and particularly those with a graphic format, allow confident readers to emerge–even if they are still struggling with decoding print. Our students showed off their wealth of symbolic knowledge–recognizing that a four leaf clover in a speech bubble is a message of good luck and that a light bulb represents a new idea. Imagine my delight when one of our first grade boys raised his hand…with two things to share. He quickly pointed out that this book was filled with verbs. You might wonder what he was thinking…this is a wordless book. But I knew that we had been working with vivacious verbs last week, using George Ella Lyon’s All the Water in the World and Thomas Locker’s Water Dance as mentor texts for this year’s first attempt at poetry. As I asked this student about the verbs in the book, he pointed out that Owly and Wormy were reading, sleeping, planting… It was obvious that he understands verbs! (And I wish I had recorded the actual verbs he pointed out…they were better than my memory!) I don’t remember the second thing he shared–it was relevant–but not as exciting as his noticing of verbs in a wordless book! 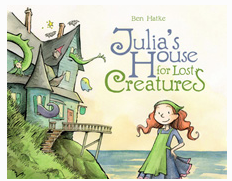 We’ll continue our study of graphic novels, focusing on the features as we connect back to Owly and Wormy and also to Julia’s House for Lost Creatures by Ben Hatke (a hybrid graphic novel/picture book that we read the first week of school to talk about what we needed to do to get along as a community). 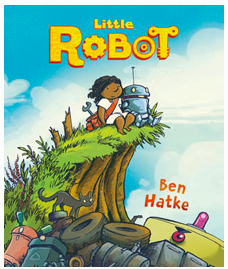 And we’ll take our study further as we explore Hatke’s latest graphic novel, The Little Robot as a class read aloud. The more I read wordless books and graphic novels, the more I am intrigued by the power of images and the resulting power of words that my students bring to our conversations about these rich, complex, and layered books. What are your favorite wordless books and graphic novels to use with students? For yourself? This entry was posted in mentor texts, teaching and tagged books, graphic novels, learning, reading, teaching, wordless books on September 15, 2015 by kd0602. Today, out of necessity, I had to scrap a plan and invent another without notice. For teachers, this is something that happens with some regularity and most of us pride ourselves on our flexibility. And I love it when that spontaneous plan blossoms into a wonderful learning moment. We always have picture books at the ready to read to our class. Some are set aside for specific purposes and lessons, others we know we want to read but are waiting for the perfect time to present itself. Last year we read Spoon by Amy Krouse Rosenthal–a book that our students loved. 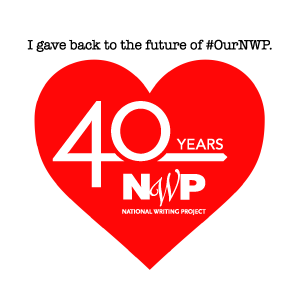 We revisited it a number of times throughout the school year for different purposes…from mentor sentences to a situation for opinion writing. 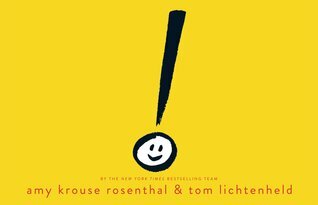 At the end of the year, I came across a new book by Amy Krouse Rosenthal: Exclamation Point. So today, in that moment when I needed a plan at a moment’s notice, I picked up Exclamation Point, reminded my returning students (two thirds of them) that this was the author of Spoon, and started to read. I love those moments when each student’s attention is fully engaged…and they were hooked by the bright yellow cover and the whimsical smiling exclamation point. They noticed right away that there wasn’t a title…at least not written in words. The exclamation point itself stood as the title. We read and discussed and noticed and connected all the way through the book. We delighted in the words and the pictures and the message. And we were inspired to write our own stories about punctuation. And then later in the day we managed to get packed up and ready to go home with enough time for a book before the dismissal bell. Overwhelmingly, students wanted me to read Spoon. It was sitting near Exclamation Point…and suddenly today became the day for a mini author study. The second and third graders were treated to an old friend, and the first graders were anxious to get acquainted! After reading, students volunteered their observations, connections, reactions, reflections. They had so many thoughtful comments and ideas for their own writing. And one student pointed out that Amy Krouse Rosenthal wrote about ordinary things…in wonderful ways. We started thinking about all the ordinary things we might write about and how our writing could transform them beyond the ordinary. They were excited to write as the dismissal bell rang today…I hope they sustain that excitement long enough to actually get to the writing. I’ve also been noticing the power of the ordinary. Yesterday’s post was about the transformation of an ordinary photo into something I was willing to name as art. And today on five minute friday the prompt is ordinary. Today in the classroom the ordinary business of reading a book because an extraordinary opportunity to notice the magic of writers and writing…and turned students into active learners making meaning for themselves. Today I was reminded that ordinary is a state of mind, and each of us has the power to re-look and re-see the ordinary in new ways. I love when that wonderful learning moment in the classroom means that I learn too! This entry was posted in book review, mentor text, teaching, thinking, writing and tagged Amy Krouse Rosenthal, connections, Exclamation mark, learning, mentor text, reading, Spoon, teaching, writing on October 11, 2013 by kd0602. For the last couple of days, my teaching partner and I have been busy planning for the first week of school. With a multiage class of first, second, and third graders, we have a wide span of age and school experience to take into account…and our older students have been in class with us for the last year or two. That means we are always figuring out new ways to build community and academic skills, encouraging student engagement and building collaboration and problem solving. We love using picture books to launch student thinking…and students love to be read to! Today’s planning conversation involved many books, what role they might serve, and how we might use them as we start the school year. Last year we read a book by Jerry Pallotta called How Will I Get to School This Year? which we used to get our students started with writing opinions. We used this simple picture book to ask our students to come up with reasons and evidence to support their opinions about how they would want to travel to school. Which would be better, a grizzly bear or a butterfly? Something we want our students to begin when they come back next week is to help us reorganize our classroom library to better serve their needs. We have lots and lots of books–but they don’t seem as accessible as we would like. And we would love to have our students more actively recommending books to each other. As we thought this reorganizational task through, we worried that some of our more accomplished readers might be dismissive of some of the easier to read choices in the library. So…how might we use this Pallotta book to model how a seemingly simple book might actually be more than you see at first glance. When we took a closer look at this book we noticed that in addition to the fairly simple text and some silly associations between teachers and animals, there are also a lot of idioms used. Attention to these would change the way a reader looks at the book. We also considered how our students might pick a page where the connection between the animal and the teacher action is tenuous (the alligator teaching students to be “green”–as in environmentally aware–is one example) and revise it. We found ourselves reading and reconsidering picture books from a variety of perspectives in our planning today. I know that our thinking today will inform the way we set our students up to revamp our classroom library. I can’t wait to see all the ways they approach books when charged with this important task of making our classroom library work for them! How have you rethought your use of and approach to a book you use with students? What’s a favorite book you can’t wait to share? 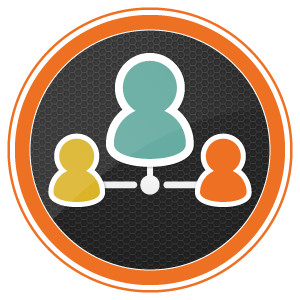 This entry was posted in book review, Connected Learning, teaching and tagged classroom, Library, Picture book, planning, reading, rethinking on August 21, 2013 by kd0602. In the last few weeks I read two books written by Neil Gaiman. I finished Neverwhere last night and read The Ocean at the End of the Lane a few weeks before that. I read Coraline a few years ago…and remembering some picture books I bought last year, I reread The Wolves in the Walls and The Day I Swapped My Dad for Two Goldfish today. In some ways I’m surprised that I like these books, they are a little bit fantasy with some parable-type qualities woven in. So what do I read, you might ask? That question seems to become more and more complicated. If you follow me on Goodreads you may notice that I have binged on several YA series. I’ve read the Hunger Games series followed by a number of dystopian novels including Blood Red Road, Divergent and Insurgent, The Water Wars, and the Maze Runner series (that was not my favorite series). I’ve also read some series more in the fantasy category including The Secrets of the Immortal Nicholas Flamel, The Mortal Instruments (City of Bones…), The Infernal Devices, and Graceling Realm. Interspersed were murder mysteries by Gillian Flynn and Danish author Jussi Adler-Olsen…and then there were the 4000+ pages of The Game of Thrones (haven’t gotten to A Dance with Dragons yet). I’ve also read other odds and ends, novels and plenty of books for kids, especially graphic novels for the younger crowd. But back to Neverwhere. I read a lot. Fiction and non-fiction, fantasy, mystery, realistic fiction, historical fiction and everything in between. And some books stay with me longer than others. I liked Neverwhere. Some reviewer described it as an urban fairytale. In some ways I think that most of Gaiman’s books are fairytales of sort…maybe in the Grimm tradition. When I think of Richard (of Neverwhere) and the unnamed narrator in The Ocean at the End of the Lane, they are both those anti-heroes who learn powerful life lessons as they interact with supernatural beings from somewhere other than the world of humans that you and I live most of our lives in. They are flawed, often seen as weak pushover types as the story begins. They find their strength in unusual ways. These are stories about overcoming difficulties…in many cases difficulties that the adults around them just don’t get. When I think about Gaiman’s books I find myself thinking about the qualities of grit and resilience that we look to cultivate in our students…and that teachers need too in our current educational climate. Neverwhere is a story about trusting your gut, learning from close observation, and hanging in there even when the going gets tough and things are scary. It’s about feeling invisible and doing what is right anyway and finally about realizing that what you thought you needed and wanted for your life might not really be what you were looking for. Gaiman’s books are richly layered, both readable and complex. There are books for kids (The Wolves in the Walls and The Day I Swapped My Dad for Two Goldfish), for older kids (Coraline) and stories for adults. And I haven’t read them all yet. I think The Graveyard Book is up next for me. What’s your favorite Gaiman book? What else do you recommend? 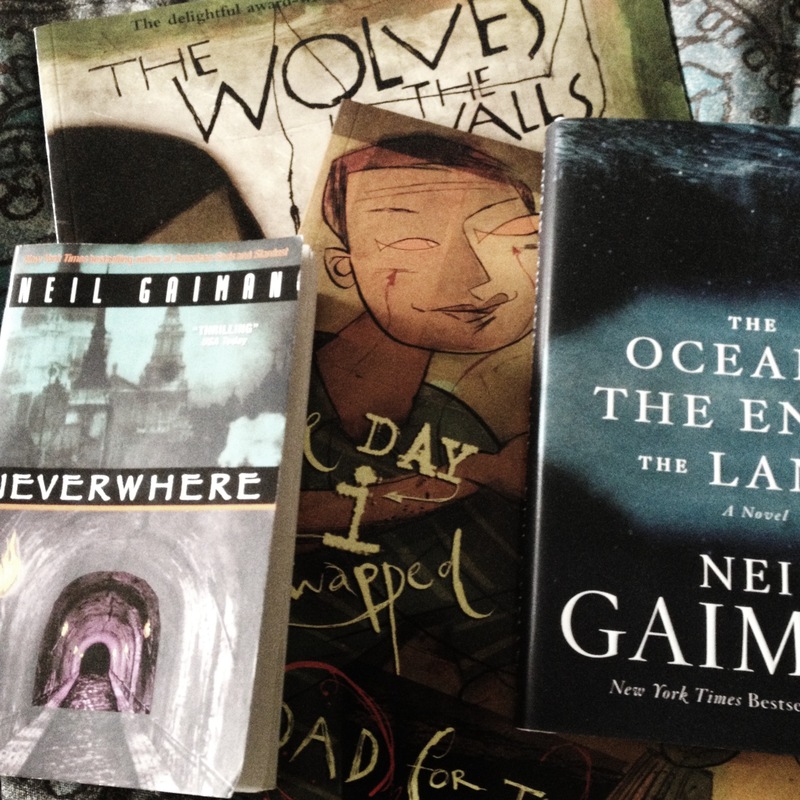 This entry was posted in book review, teaching and tagged book review, books, Coraline, Day I Swapped My Dad for Two Goldfish, grit, Neil Gaiman, Neverwhere, reading, resilience on August 5, 2013 by kd0602.